“What kind of relationship does an engineer have with food? What does an engineer eat? How does he prepare a meal? How does he organise the various stages of the cooking process? What drives him? Technical men or women behave above all rationally. They solve problems and follow through. The guests of an engineer are always satisfied, the food is served on time, and nothing gets left over. Managing the whole is an intellectual challenge for an engineer and preparing food successfully gives him deep pleasure. 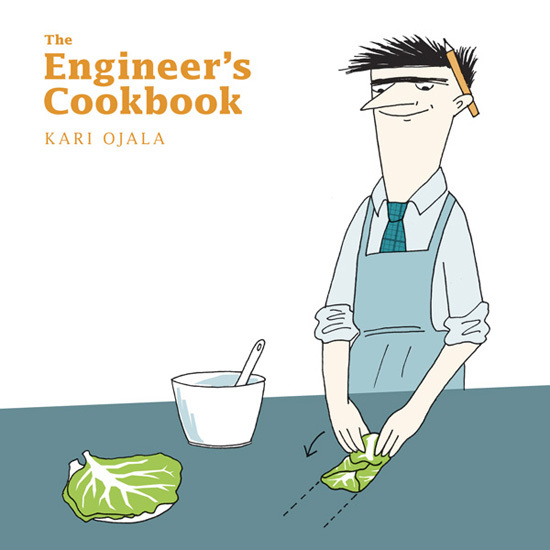 This book gives a systematic presentation of the principles behind an engineer’s cooking skills. It helps an engineer to see what is essential in food, to recognise his own strengths, and to adapt his skills to make good food.